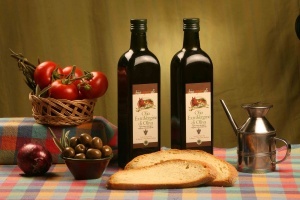 The extra-virgin olive oil manufactured in Monaco di mezzo originates from nocellara del belice and biancolilla di caltabellota olives pressed in our oil mill within 24 hours from their picking. 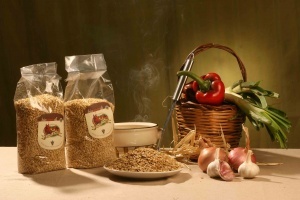 Both growing and pressing are performed according to the principles set by organic farming. Olives are grown in the hilly Sicilian hinterland, the ideal setting to manufacture excellent extra-virgin olive oils. Our barley is grown in our farm, which is highly involved in cereal growing, according to the principles set by organic farming. The only processing it undergoes is mechanical decortication in order to make it suitable for the preparation of cereal soups. 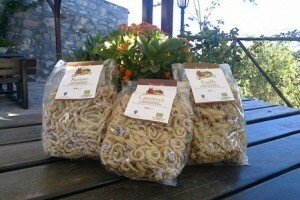 Pasta Bio whole wheat durum Bronte semola grown in our Farm and milled with stone grinder. 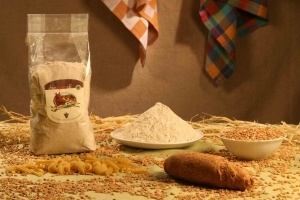 Durum wheat semolina is manufactured through the stone grinding of the wheat we grow according to the principles set by organic farming; such a grinding preserves the original properties of wheat.